With 50% of your daily calcium needs in just one glass, Australian Dairies High Calcium Milk Powder is the ideal way to start your day. A deliciously creamy whole milk powder with added calcium for strong bones and vitamin D to help with calcium absorption. 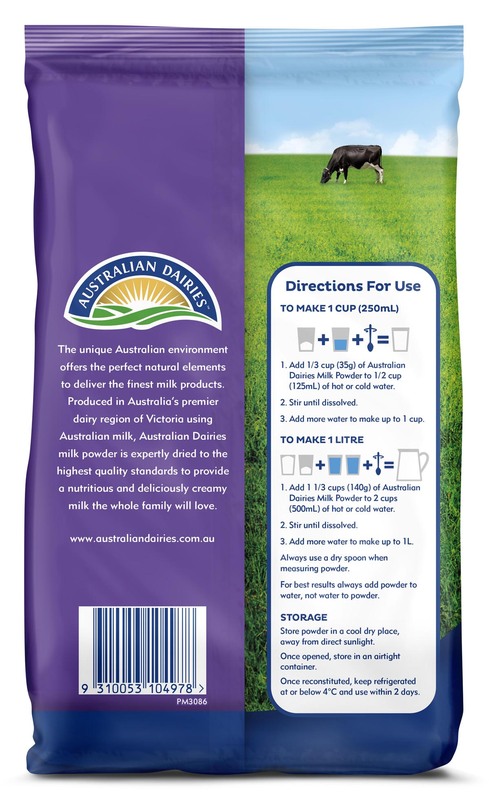 Add 1/3 cup (35g) of Australian Dairies High Calcium + Vitamin D Milk Powder to 1/2 cup (125mL) of hot or cold water. Add more water to make up to 1 cup. 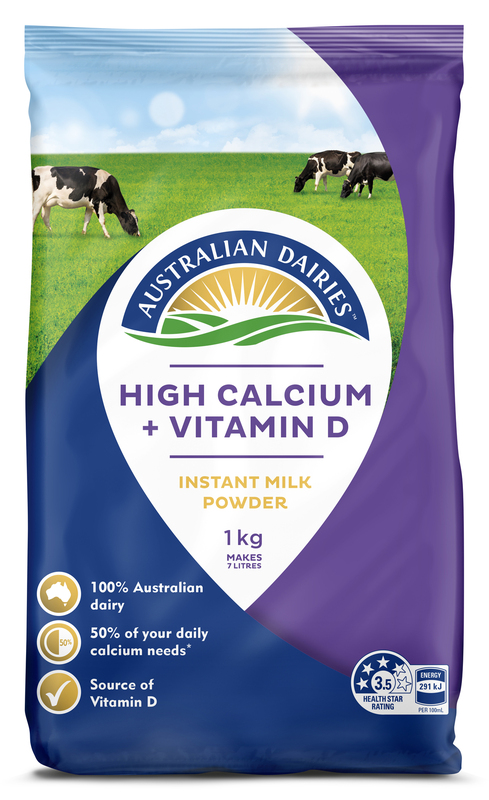 Add 1 1/3 cups (140g) of Australian Dairies High Calcium + Vitamin D Milk Powder to 2 cups (500mL) of hot or cold water. Add more water to make up to 1L. For best results always add powder to water, not water to powder. Always use a dry spoon when measuring powder. †Percentage Daily Intakes are based on an average adult diet of 8700 kJ.